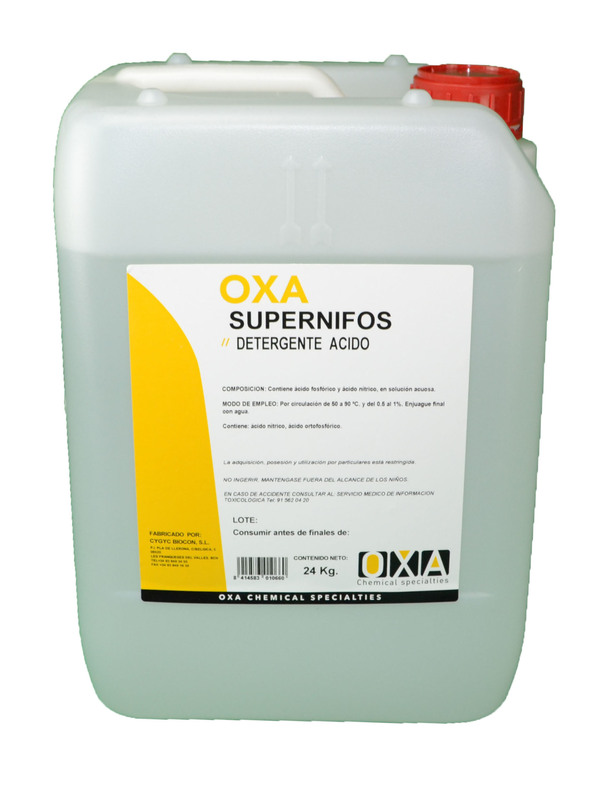 Acid detergent for milking circuits and cooling tanks, based on phosphoric and nitric acids. - Periodic descaling circuits milking and cooling tanks. - Cleaning of pasteurizers, centrifuges, homogenizers, circuits. - Intense action detergent and descaling. - Easily dissolves stone milk, calcium and mineral waste. - Excellent performance in water of any hardness. - Suitable for automatic dosing systems.